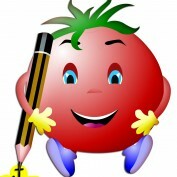 Wwriter works with a publishing company that specialises in children's books and videos. 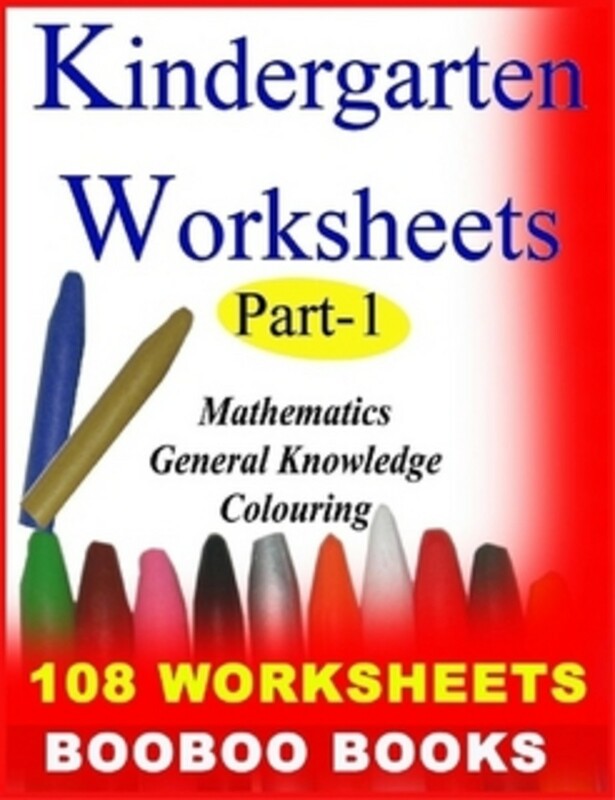 We publish kindergarten worksheets and preschool worksheets / coloring sheets for kids and also other kindergarten and preschool books. 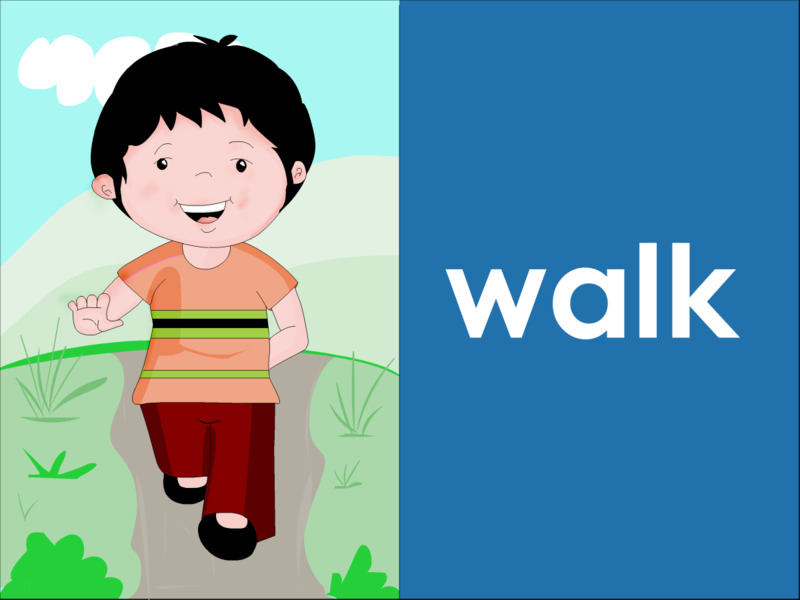 Use pre - k worksheets or preschool coloring pages or coloring sheets to help your preschool child learn basic concepts while doing something she loves. Printable coloring books could be a good idea. 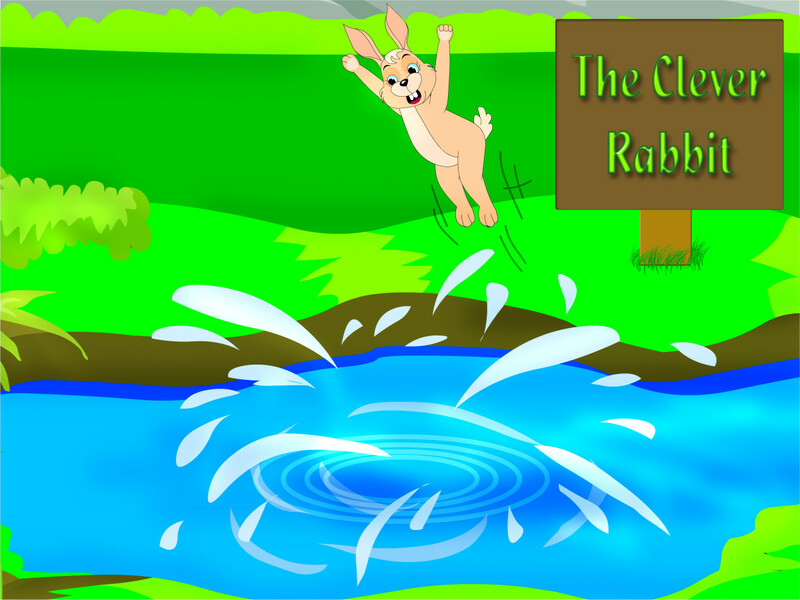 Here is an illustrated short story "The Clever Rabbit and the Foolish Lion." 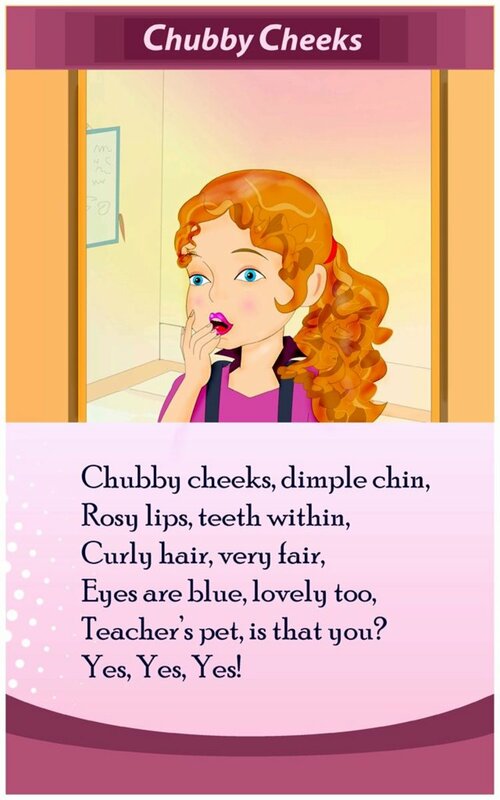 Short stories with pictures and morals to discuss are popular with young children and their parents. 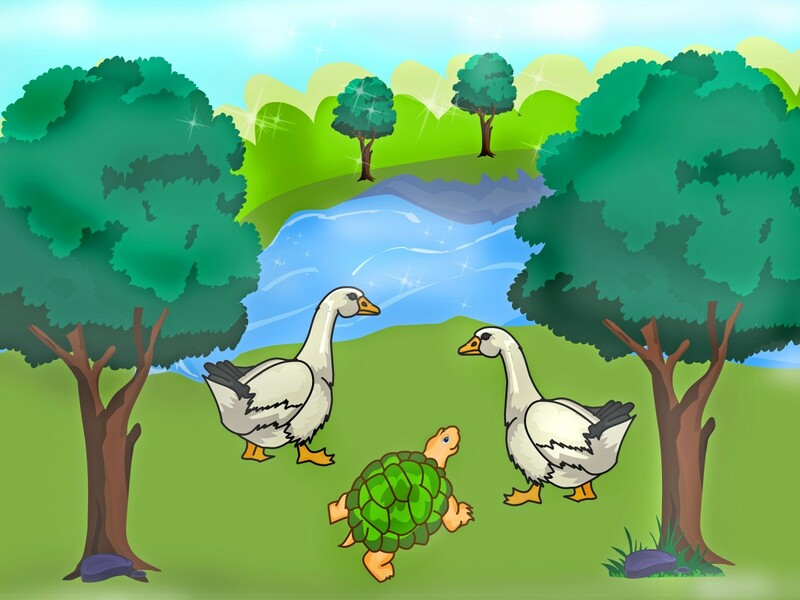 The tortoise and the geese is a popular fable from the Panchatantra stories. The tortoise couldn't keep from talking - and opening its mouth meets its end. The moral of the story is apparent. 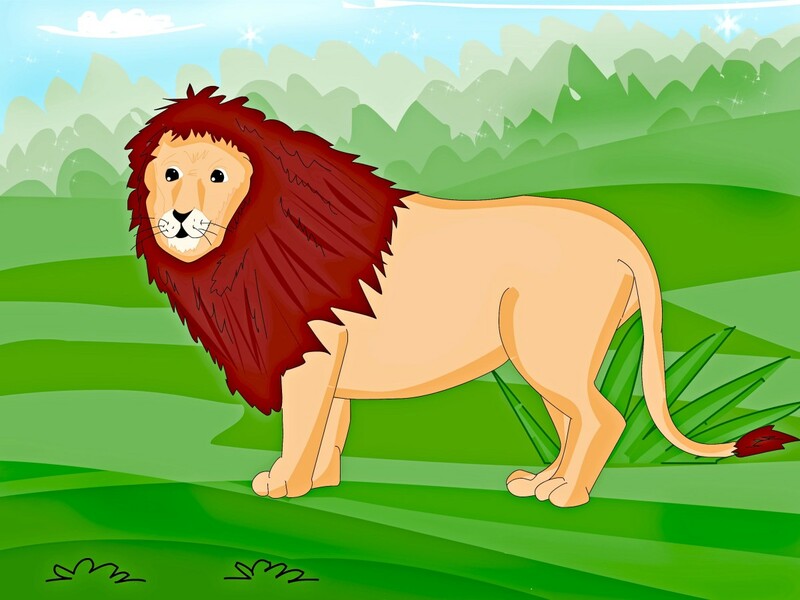 The man and the lion is a retelling of an interesting fable by Aesop. 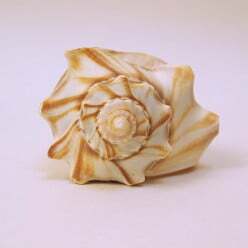 This story shows that the representation of a thing is often based on the view of the person doing the representation. 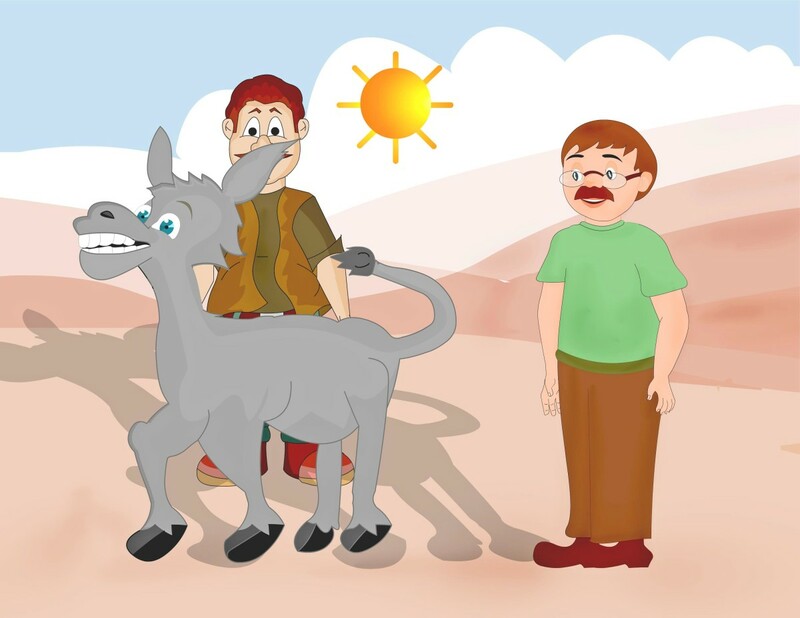 Short kids stories like the story of the talking cave from the famous Panchatantra stories appeal to kids. 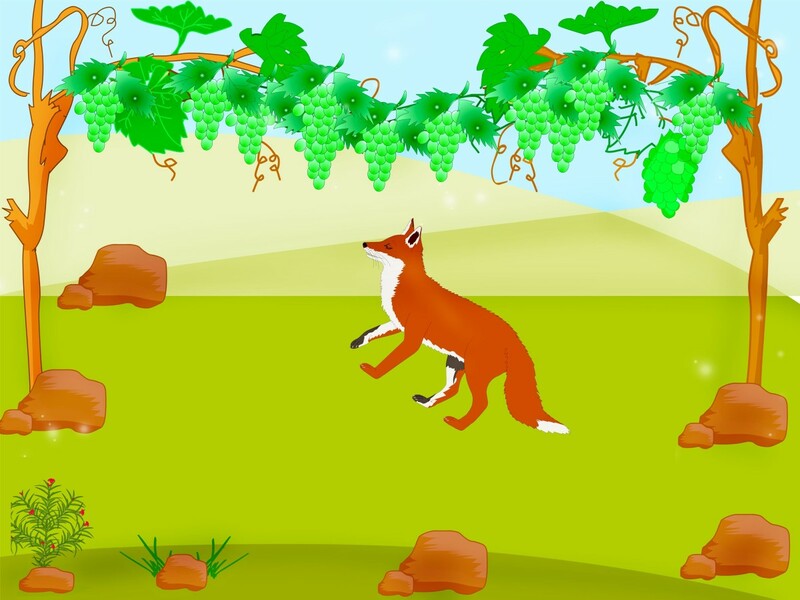 This story shows us by being alert and thinking smart a small fox was able to outwit a lion. 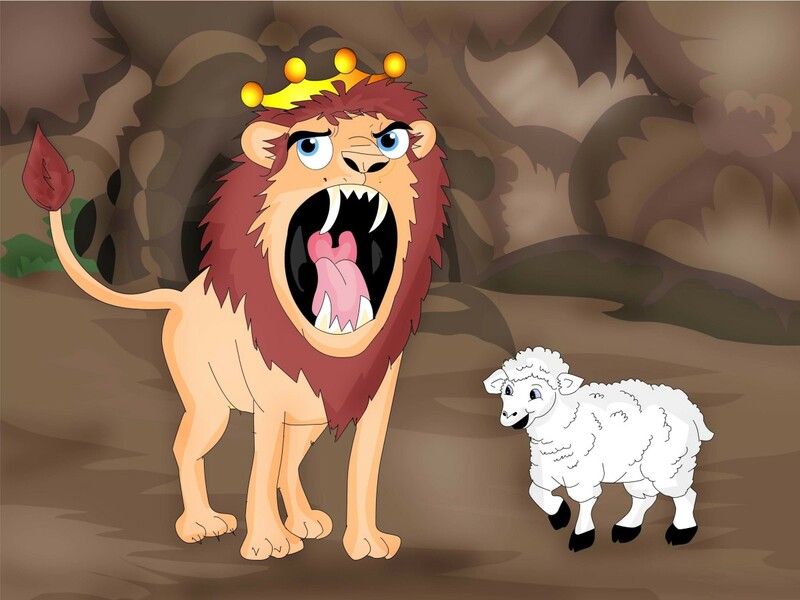 The lion with bad breath, a story that originally appears in Aesops' fables is retold here. 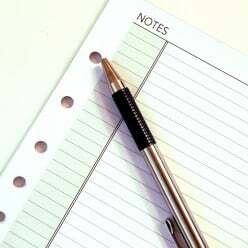 This short story is very interesting and offers useful insights into common behavior. 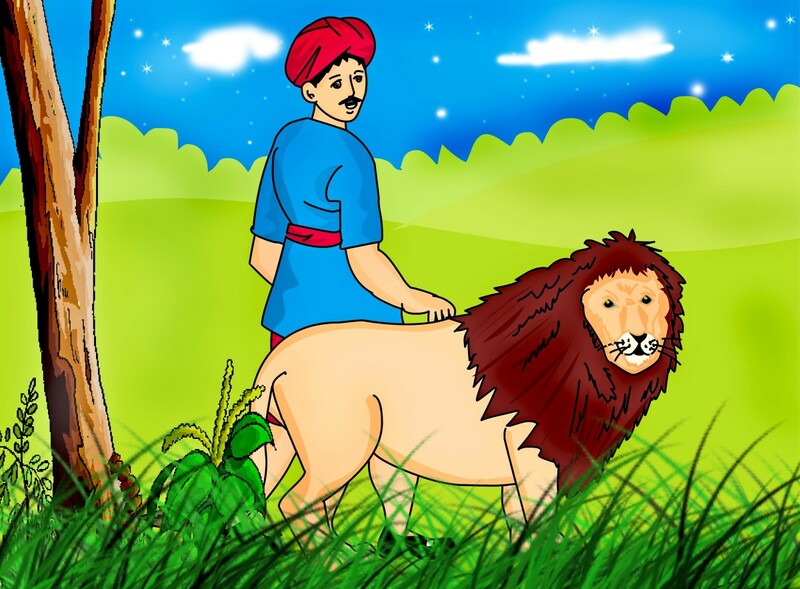 The Panchatantra is a collection of stories that convey important 'morals' and messages. In this story the perils of acquiring a lot of knowledge but without wordly wisdom is demonstrated. 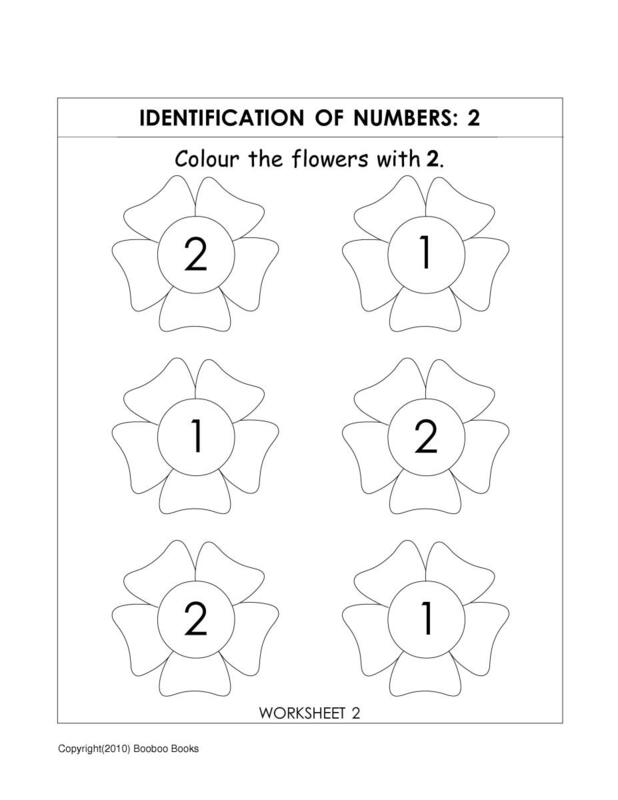 Kindergarten UKG (English, Maths & GK) worksheets can be very useful in helping UKG kids practice basic concepts. 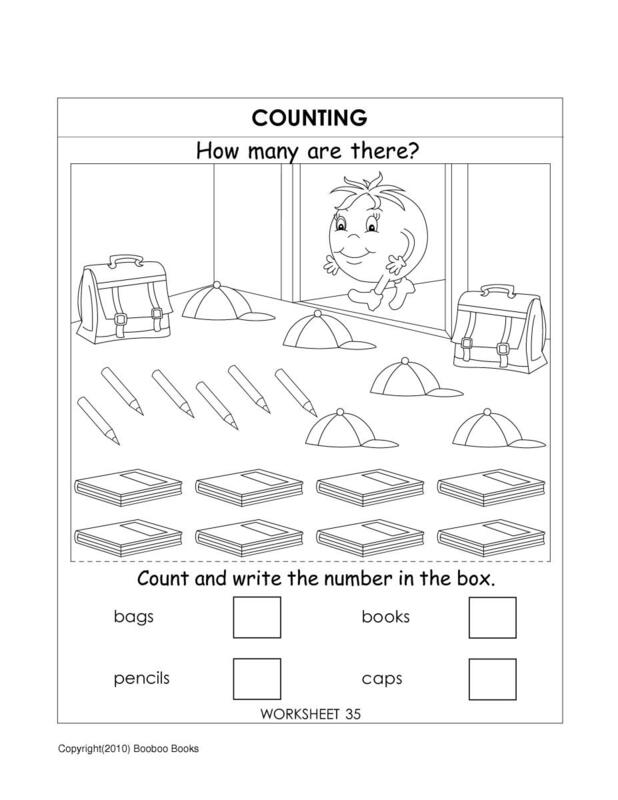 Printable kindergarten worksheets are available that can be downloaded and printed. 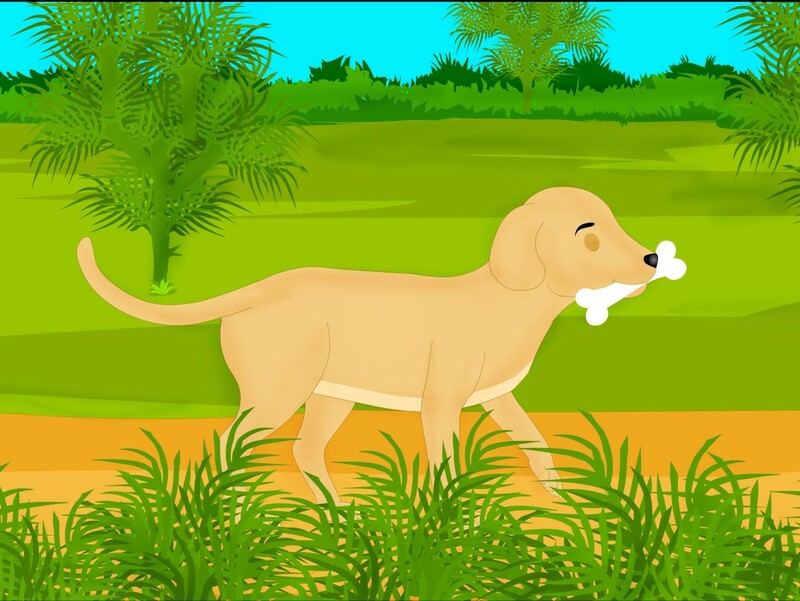 This short moral story for kids - the story of the greedy dog and its shadow is a retelling based on the original story from Aesops fables. 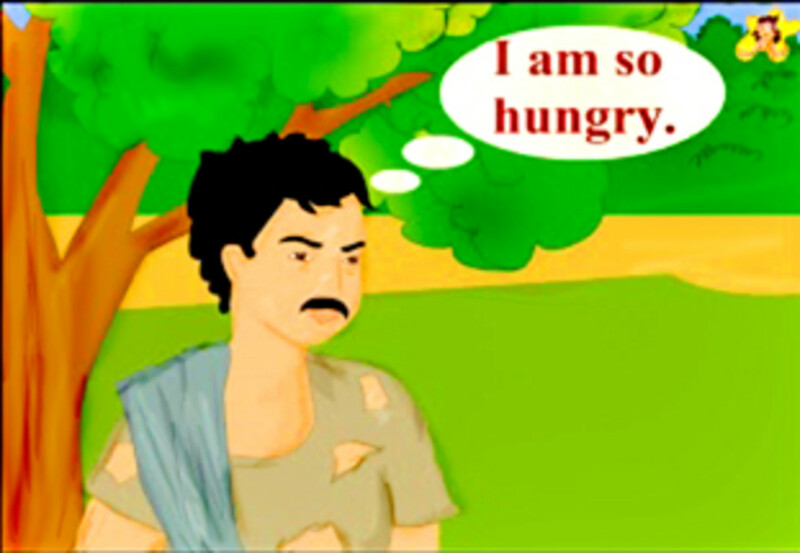 This story conveys the moral that one should not be greedy. 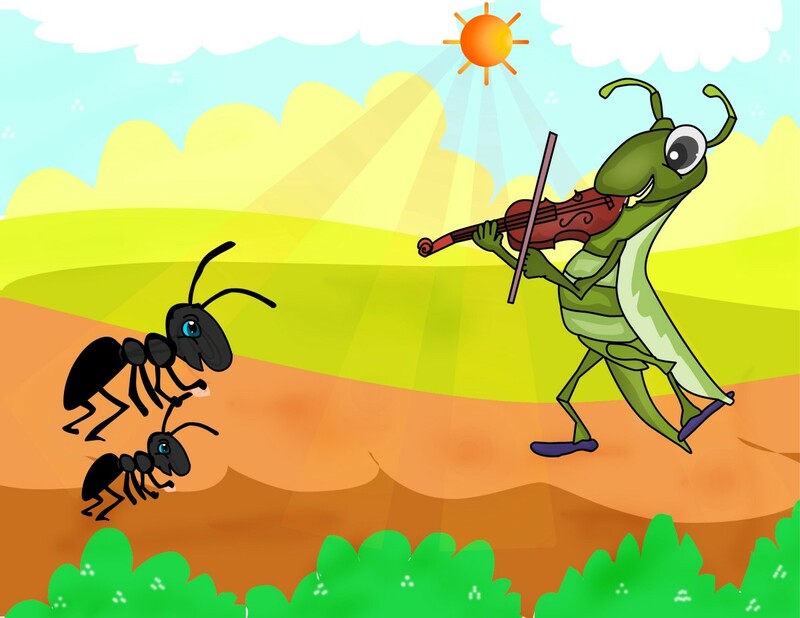 The ant and the grasshopper is a popular short story for kids from the collection of Aesop's fables. 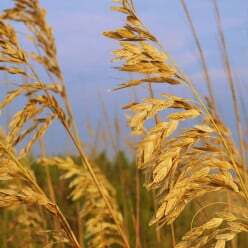 Read this story to see how Grassy Grasshopper understands the importance of saving for the future. 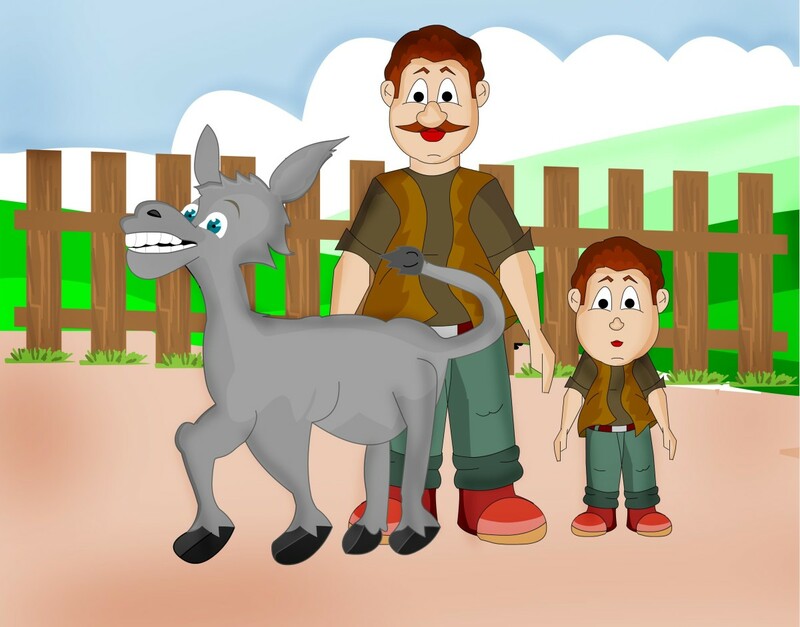 Panchatantra stories for kids are widely read and retold. 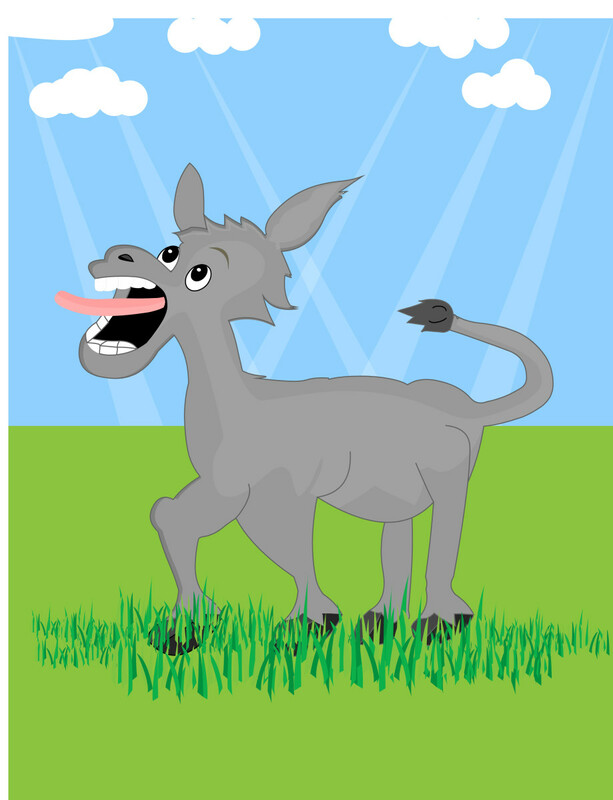 The musical donkey is a famous panchatantra story about a foolish donkey that does not think before it acts. Teaching shapes to kids is easy and fun! 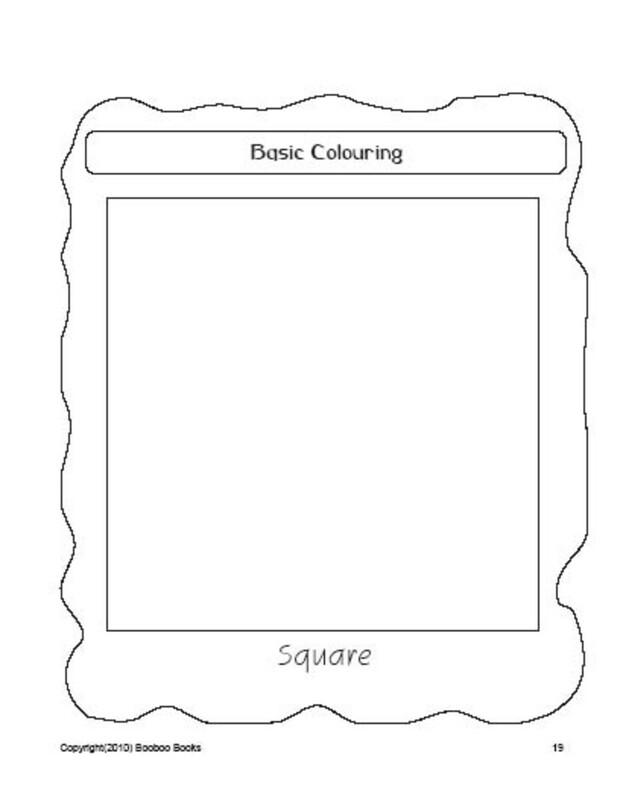 There are a lot of resources and activities available online that you can use to help kids learn shapes. 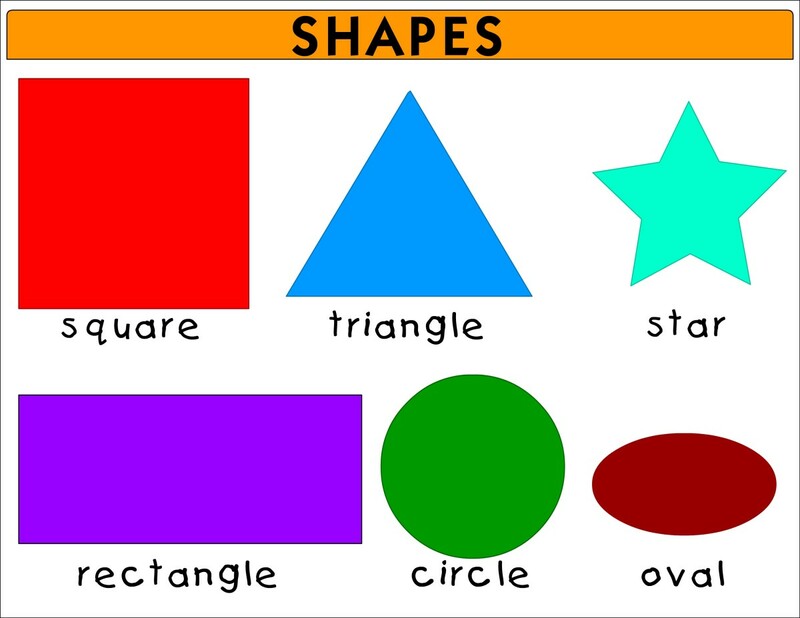 Shapes for kids can be a fun topic. 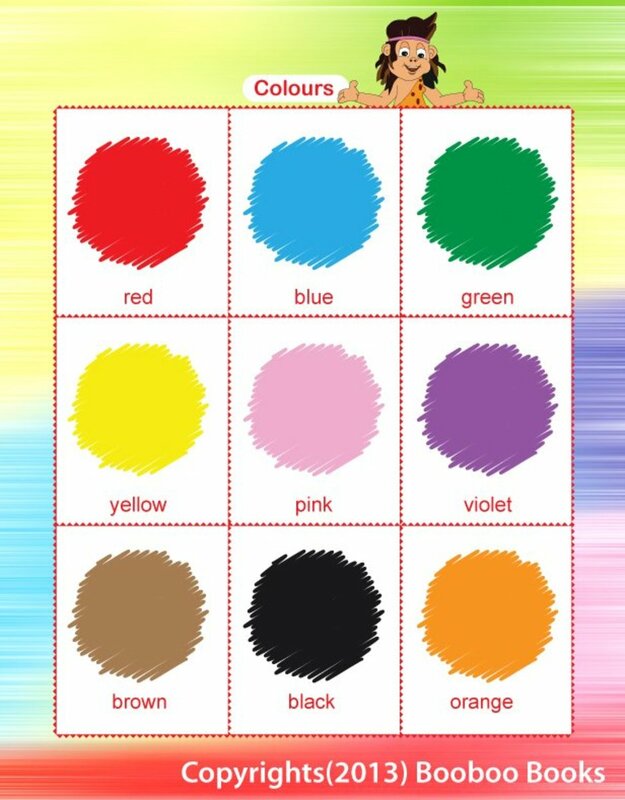 Teaching colors should be fun! 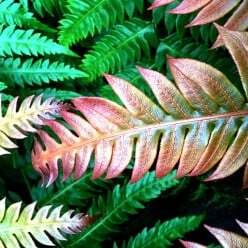 There are so many resources and interesting approaches to make teaching colors fun and exciting. 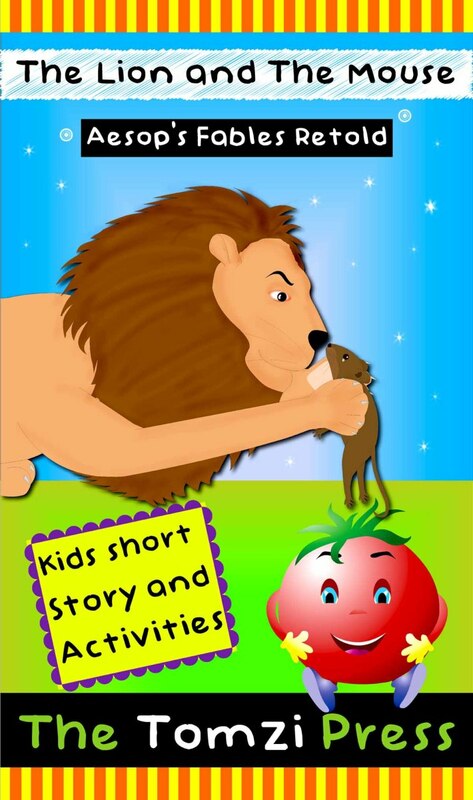 Short animals stories for kids like the story of the blue jackal have for ages entertained many children. 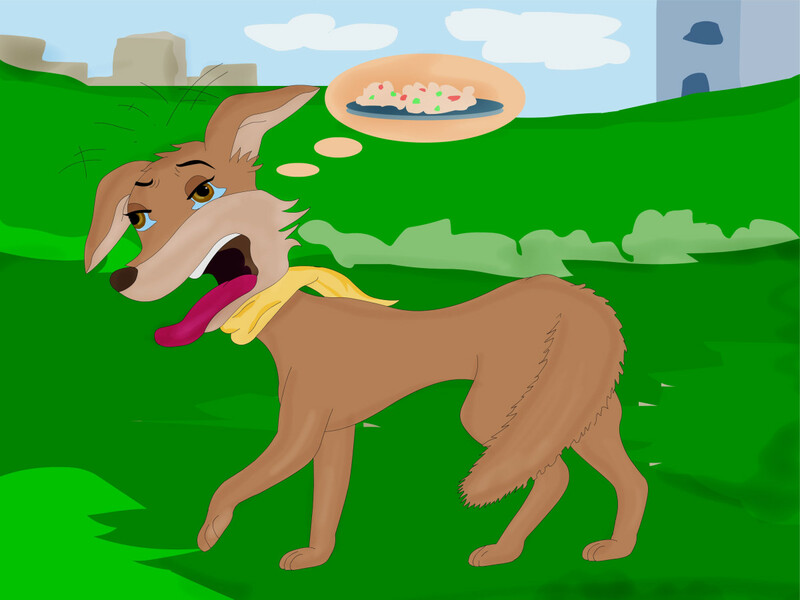 The story of the blue jackal with pictures is retold here based on the Panchatantra tale. 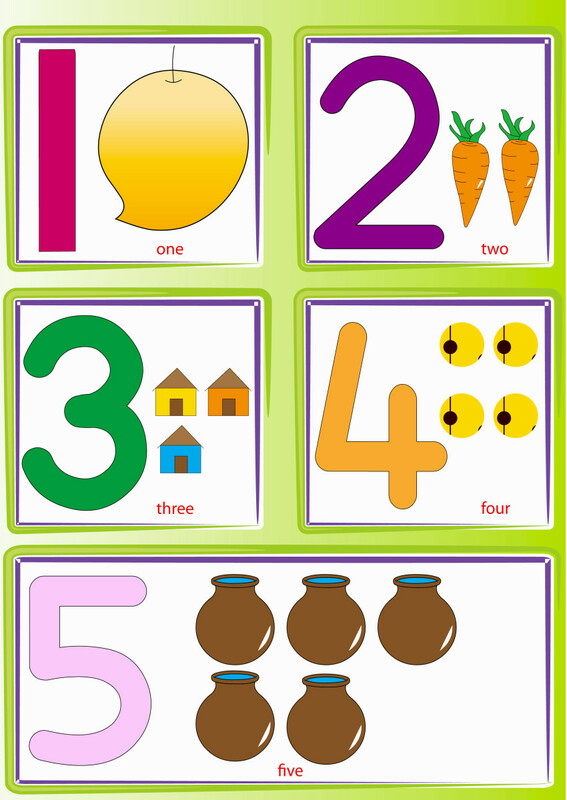 Kindergarten number worksheets can make learning numbers for preschool and kindergarten kids fun and interesting. 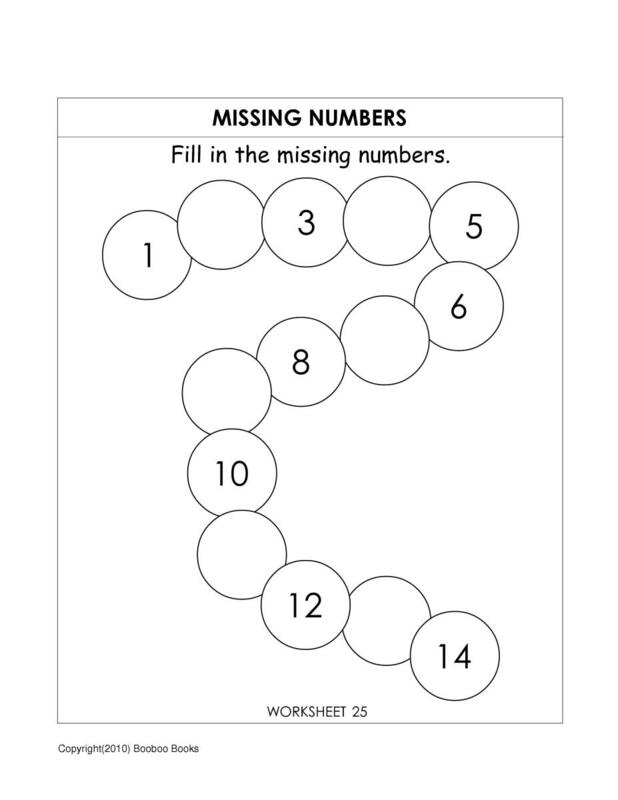 Number recognition, tracing, missing numbers and counting worksheets can be useful. 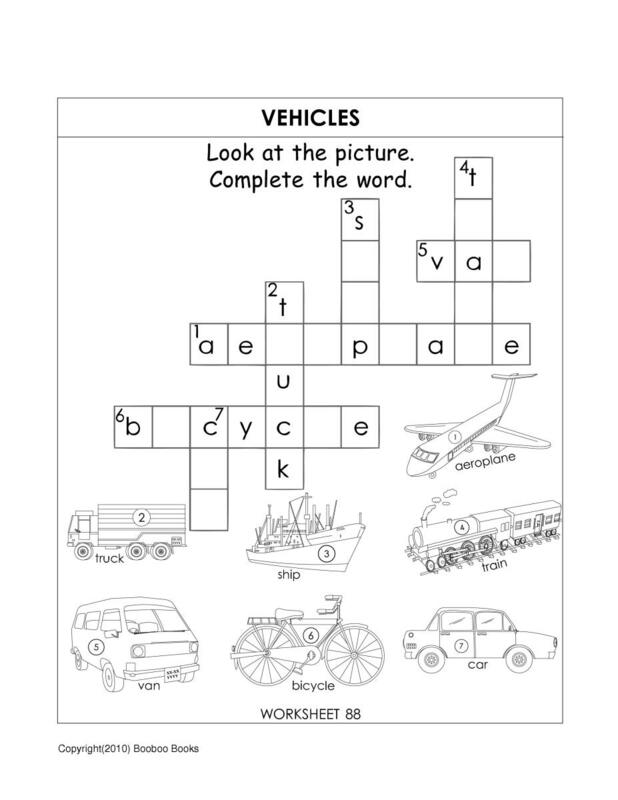 Letter recognition worksheets can be used to help preschool and kindergarten children recognize the letters of the alphabet. 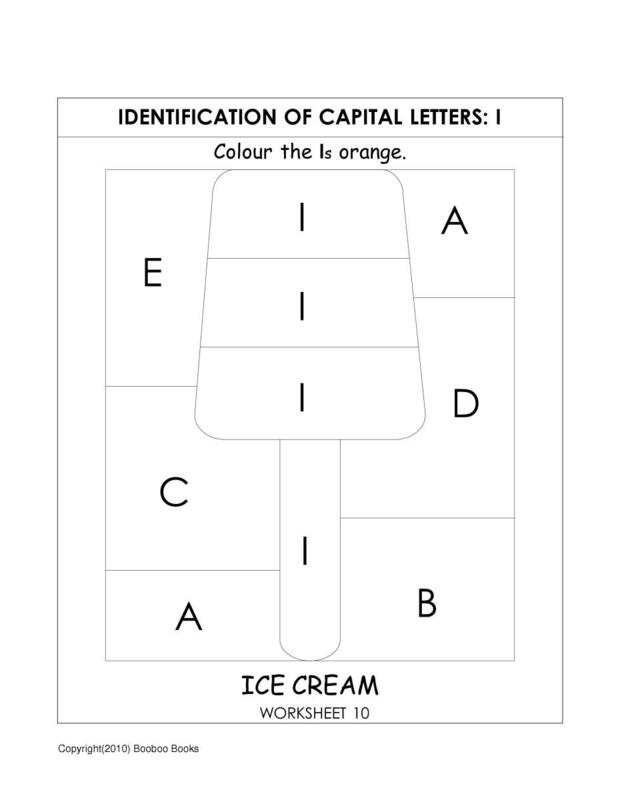 Different types of letter recognition worksheets are shown. 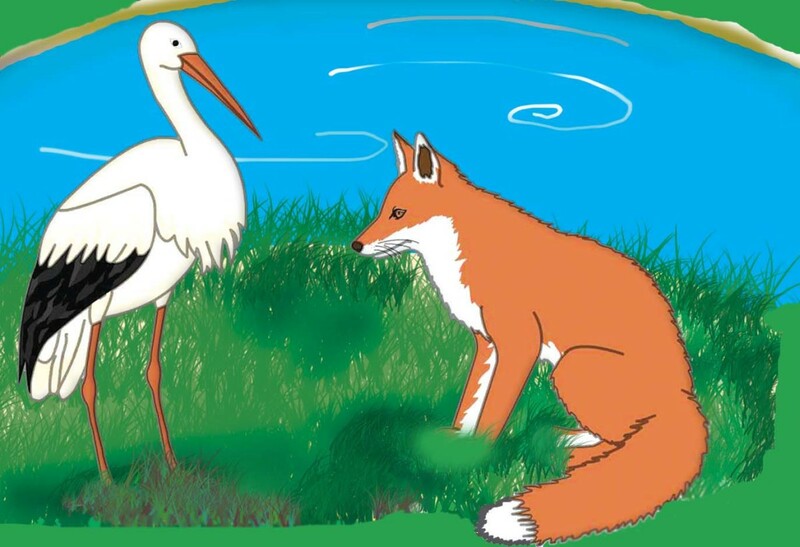 Read aloud this small story of the goose that laid the golden egg to your child. It will entertain, educate and convey a moral. The moral is that greed is bad. Action words for kids can be fun. Do these great activities with the kids to help them learn action words. Also given are examples of action words with pictures and videos of action words for kids. 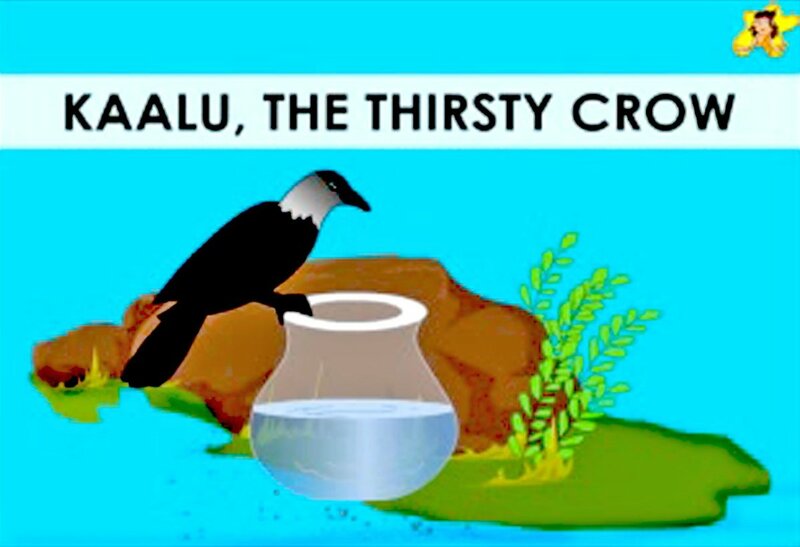 Learn how the thirsty crow solved its problem. 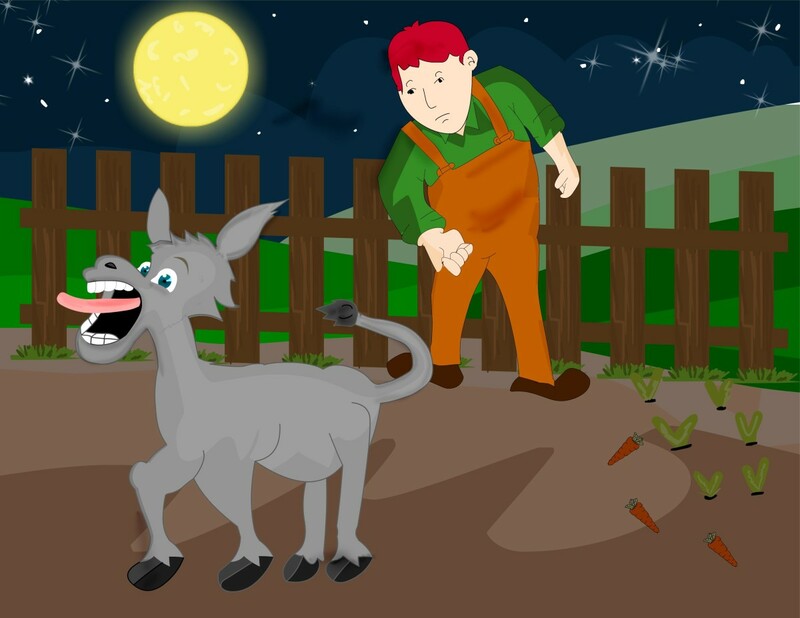 A moral story in English for children, with pictures. 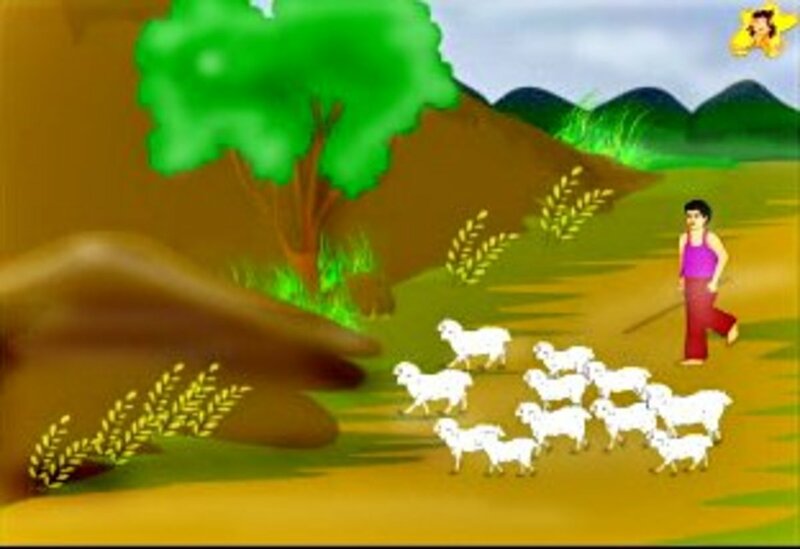 The boy who cried wolf is a short moral story for kids (with pictures) retold from the collection of Aesops fables. 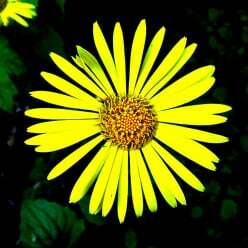 This moral story about lying shows the consequence of lying. 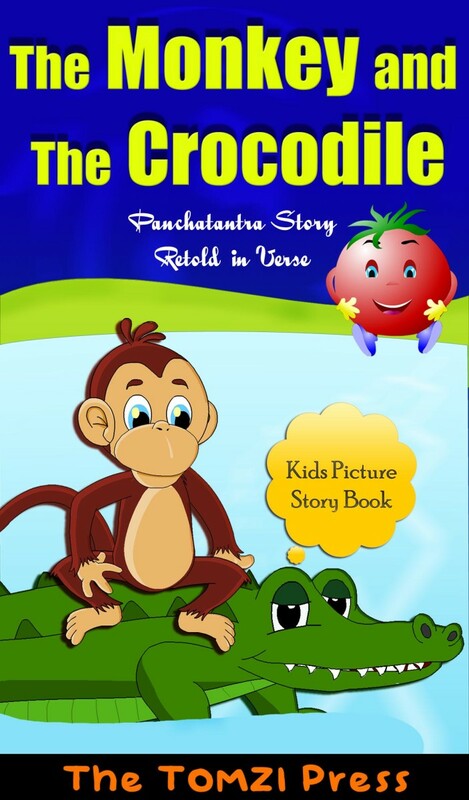 The Panchatantra stories, like the story of the monkey and the crocodile, are a set of animal fables written almost 18 centuries ago in India and very widely retold and translated. 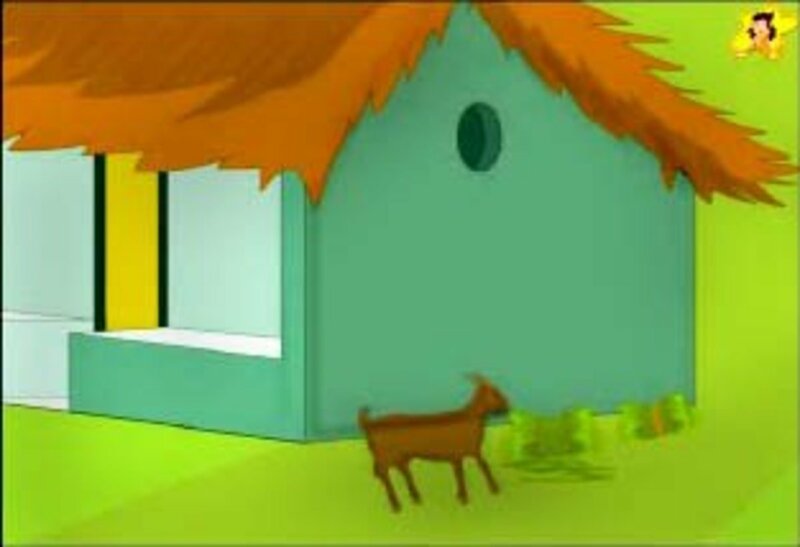 Children's stories online (such as the story of the two silly goats) present a huge resource for story telling. This page has the picture story of two silly goats and also a video of this story. Learning the alphabet should be fun. 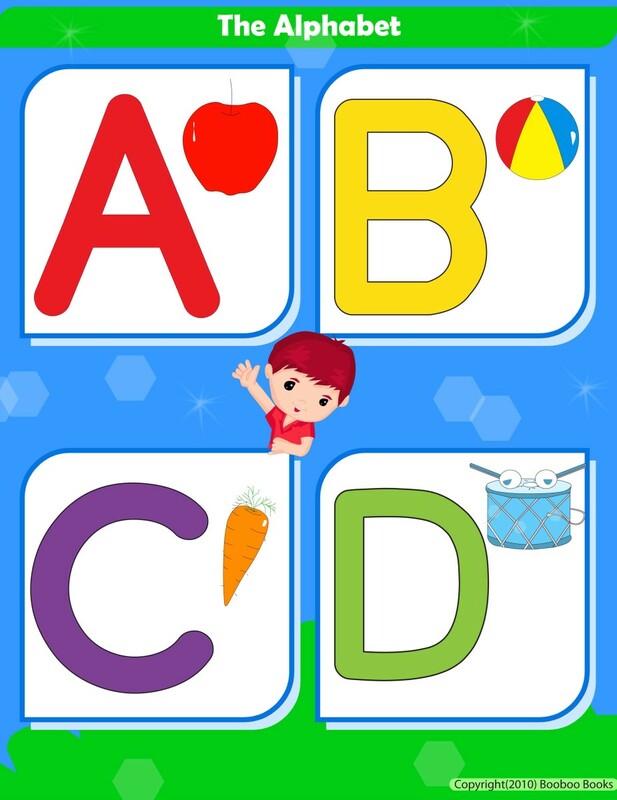 Kindergarten alphabet worksheets help kids learn the alphabet in an interesting way. Picture books with short stories hold great appeal for kids. 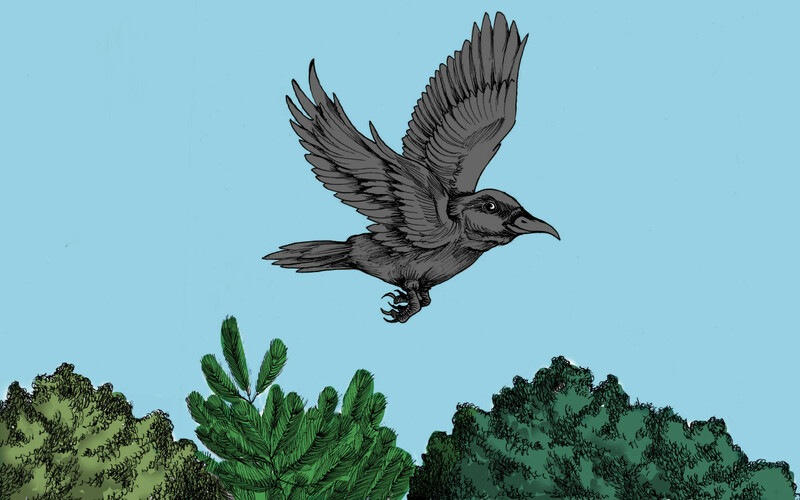 The fox and the crow fable is a popular such tale—here you can read it with pictures.